Have a party, conference or industry event coming up? Let us know, and we may send a professional photographer, and publish select events. Contact kit@agentpublishing.com for details. However you want your brand promoted, Chicago Agent has the option that will fit. Email anne@agentpublishing.com to learn more about how we can put your message in front of over 25,000 local real estate professionals. Want to work for Chicago Agent? We’re always looking for talented writers who know real estate. Send resumes and clips to careers@agentpublishing.com. 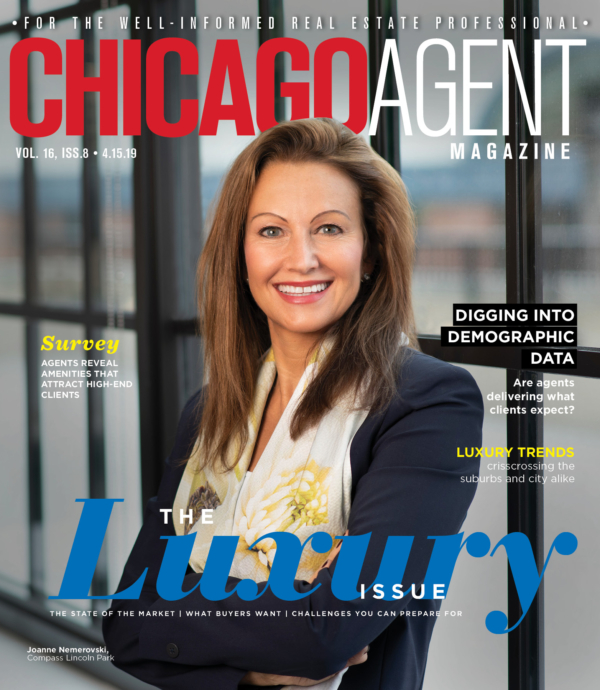 Subscribe to Chicago Agent in print. Click here for our subscription form and get our biweekly print issue delivered to your door.